King Arthur's outrageous comedy quest for the Holy Grail. 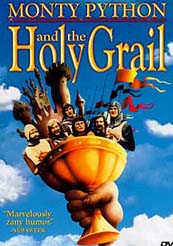 Directed by Terry Gilliam and Terry Jones. Produced by John Goldstone and Mark Forstater.